Eek my first Christmas card for 2014. When I saw this Vintage Frost digi kit from MicheleR Design I fell in love! The soft colours are just delicious. I used flowers and seam binding from Wild Orchid Crafts – open roses 15mm, Cosmos Daisies, 25mm wild roses and stamens. I also popped a brad in the centre of the snowflake to attach it to the bow. The stamp is Festive Fairy from LOTV, coloured with markers and pencils. I’m sorry I did not make a note of the colours I used. 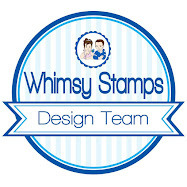 Whimsy Stamps July rubber stamp and die release! Yesterday we sneak peeked the new Elisabeth Bell, Time For Tea Designs and Raindrop Echo Designs products. 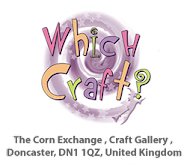 Today we are excited to show you the brand new Crissy Armstrong, Wee Stamps and SC Designs stamps and dies being released this month. For a full reveal of these stamps, check out the Whimsy blog! For today's project, I have inked up Oak Tree Girl by Sylvia Zet, and teamed it with the newest digi kit by MicheleR Design called Vintage Garden Party. I used one of the adorable sentiments from the Fluttering By set and the accompanying Butterfly Frame Die. Over the next 3 days we will reveal the new July 2014 Whimsy Stamps products. Whimsy is releasing 14 new red rubber stamps/stamp sets and 4 coordinating die/die sets this week, and they will be available to buy from the Whimsy Stamps store and selected Whimsy Stamps retailers on Wednesday. We are thrilled to welcome Mary Johnson, Linda Levoir, Bridget Curnow and Sue Hughes as our Guest Designers for this release. Welcome ladies! Today we are excited to show you the brand new Elisabeth Bell, Time for Tea Designs and Raindrop Echo Designs stamps and dies being released this month. For a full reveal of these stamps, check out the Whimsy blog! For today's project, I have inked up Little Apple Blossom Summer Ice Cream and have used one of the new sentiments from the Frame of Thanks set along with the Mini Picture Frame die.